I am sure you already know about Bitcoin. If you don’t, you can refer to an older article explaining Bitcoin. Bitcoin is the most popular cryptocurrency. The recent increase in price has made Bitcoin trending again. Bitcoins are stored in Bitcoin wallets and can also be used to buy things online. Bitcoin Wallet is a place to keep your Bitcoins. You can also use Bitcoin wallets to send or receive Bitcoins. There are basically two kinds of Bitcoin wallets. One is the software wallet to install on your computer or mobile phone. You will have full control over it. The second one is web wallet or hosted wallet. These are the third-party companies that make it easier to keep your Bitcoins but your Bitcoins are always on risks. This article is not for those who have not already bought Bitcoins. It is for those who own Bitcoins but are still using the hosted Bitcoin wallets such as Coinbase? If you are still using the hosted Bitcoin wallets, you are putting the ownership of your Bitcoins under a serious risk. If you are using hosted Bitcoin wallets, you are keeping your Bitcoin private keys under their custody. The private key is the only thing that is needed to steal your bitcoin. So, you must think of having your own Bitcoin Wallets and keep your Bitcoins there. 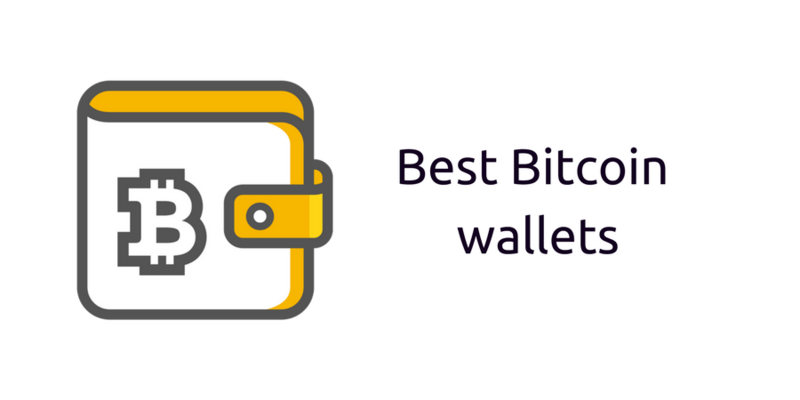 In this article we are listing 5 best Bitcoin Wallets you must know. You can use any of these to keep your Bitcoins safely. Ledger Nano S is the best hardware wallet for Bitcoins. It is a device you can connect to your computer or mobile device and transfer your Bitcoin. It has an OLED display and two side buttons. You need to set up a pin code to keep it safe and you can also set a 24-word recovery phrase. Ledger Nano S supports not just Bitcoin but few other cryptocurrencies. Here is the list. Mycelium is an opensource well-established Bitcoin wallet. It requires to email verification or no username/password to start. You can use it to send or receive Bitcoins using your mobile phone. It is an HD wallet that provides you with a 12-word backup seed key. This seed key is important and you should keep it safe. If you lose this, you will lose your Bitcoins. Jaxx is another notable Bitcoin wallet that can keep your bitcoins and altcoins. It supports 13 crypto coins and support for more will come soon. It is reliable to store your cryptocurrencies. It is easy to use and works fast. You can also export your private keys, and import bitcoins or altcoins from paper wallets. It is available for iOS, Android, Chrome, Firefox, Mac and Linux platforms. Trezor is also a hardware wallet for Bitcoin. It also a small USB device with OLED display. You can use it to store your private keys offline and sign transactions. It has a good level of security. It generates a random pin every time you connect it with PC and makes sure that any tampered PC cannot get your PIN. It also allows you to write 24-word recovery seed. Keep it safe as it is the only way to restore your bitcoins. There are the cryptocurrencies Trezor support. Trezor also offers software wallet that you can install on your Windows, Mac or Linux PC. There is also an app for Android. Exodus is a desktop only Bitcoin wallet. It is also the world’s first multi-cryptocurrency desktop wallet. You can use it to keep your Bitcoins safe. It supports several cryptocurrencies including Bitcoin, Ethereum, Litecoin, Dogecoin, Dash, Golem, and Augur. You are required to set a password to access and spend your Bitcoin fund. You can also take backup of your seed key. It asks your email address to send you one-click recovery. You can either go with software wallet installed on your PC or buy a hardware wallet. The best way is to use the hardware wallet as it is the safest option. I am trying to write more articles on Cryptocurrencies for making this complex thing easy to understand. If you have any question, you can always leave comments.